The Canadian Indie-Rock Band, Close Talker, Discuss Their Second Full Length Album, “Flux” and Why They Would Love to Work with Aaron Dessner From The National! 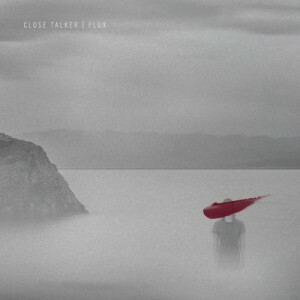 Close Talker is a young, indie-rock quartet from Saskatoon. They recently released their second full-length album, Flux, on November 4th via Nevado Music. Recorded over three weeks, during the spring of this year at Montreal’s Breakglass Studio with Jace Lasek (Land Of Talk, Suuns, Young Galaxy), while the Canadiens were in the throws of their playoff run, the 10 tracks are the first the band has done with an outside producer. Please list all the members of the band and what they play? Can you remember the moment that you decided to start this band? How did you decide on the band name? (Matt) This band was a long time coming. To a degree, we always knew it would happen, it was just a matter of timing. Will and Chris had played in a band during their high school years, while Matt had played music with both Chris and Will from time to time growing up. It wasn’t until after high school that we finally committed to forming a band, which would eventually be called Close Talker. The catalyst for Close Talker was the request of a mutual friend who asked Will, Chris, and Matt to form a band for his wedding dance, and Jerms was in the wedding party. Playing those covers was fun, so Chris, Will and Matt decided to write a few tunes and try out an open mic. It was then that they called up Jerms hoping he’d come play and help them out. The rest is history. There isn’t really a cool story behind the name unfortunately. People always ask if it is a Seinfeld reference and although it wasn’t really our intention initially… we simply answer ‘yes’. Often times, we will make up a story to help cover up the fact that there really isn’t anything to tell other than we were brainstorming names and needed one quick before an open mic. We decided to say “Hey, we’re Close Talker” and then there was no turning back. Sometimes we pretend that one of us dated a ‘close talker’ and it went horribly. To someone who has never heard your music before, how would you describe your sound? (Matt) That is a great question. We are often referred to as unique which we take as a compliment, whether it is meant to be or not. With that, we kind of pride ourselves in not being easily pigeon-holed. I think our musical expression is heavily due to our tendency to get bored easily so we try to bend rules or push ourselves beyond what might be instinctual or predictable musically. We have definitely ventured into a more atmospheric or ambient indie-pop genre. We have moments that are progressive as well as moments that are ambient. Our songs are typically sonically full and try to flirt with the balance of being unique and challenging for us, while attempting to hang on just tight enough to more appealing melodies that hopefully hook people in or cause them to tap their toe. You released your second album, Flux last month. How does that feel? (jerms) We were super excited to be able to share the album with everyone. It sort of feels like a secret that you can’t really share with anyone, and we have been waiting for a while. We are all really proud of the songs and the sounds we put together on the record, and can’t wait to have it out there. From the response that the few singles have seen, I think that even adds to the excitement for us. (Matt) Along with shear excitement, there is also a little bit of anxiety as well. We’ve put a lot into these songs and although we are proud and pleased with them personally, we would be lying if we said we didn’t care if people hated the record. We’re not quite that artsy just yet haha. We hope that the record is well received and that we can share it with as many people as possible. With that, we are definitely excited for it to be out in the world and no longer just a concept in our heads or a bundle of ideas bouncing around. It feels good to have organized all those ideas and present it to whoever cares to listen. What is the inspiration behind your song, “The West Was Won”? 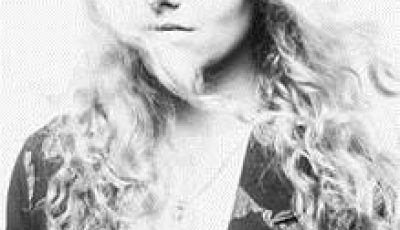 (Will) “The West Was Won” was a song that came together quite quickly. Will and Chris were jamming one day together and came up with the arrangement one afternoon and within a couple hours, wrote the majority of the song along with the melody for the chorus line. The lyrics very much relate to a period in life, which many people in their teenage years tend to go through, that displays a narrow-minded way of living life. The friends one has during this time, the things someone hold value towards, or the way someone spends their time is often what he or she believes to be the best way to live, even though in many cases it is often childish. This song talks about the switch in a persons mindset from seeing their life in a narrow lens to having a eureka moment, or maturing moment which allows them to see their life in a more broader scope – learning what truly is important in life rather than being focused on less mature things from the past. What are a few songs on this album that you are most proud of and excited for people to hear? (jerms) Personally, I am really proud of “Silence II”. Maybe cause it is the most different. maybe cause it was one of the more challenging ones for me to play. As for playing live, “Blurring Days” & “Great Unknown” have become a couple of my favorites. We were talking the other day about how “For the Sun” might be our favorite mix on the record. (Matt) I tend to fluctuate as to what my favorite song is on the record, which I think is a good thing and speaks to the strength of the songs, however I am dreadfully biased. A song that truly came together in the studio and was really just a skeleton until the final days is Slow Weather. That song had gone through about a dozen different versions until we landed on what is now the studio version late one night while tinkering on some old synths. Slow Weather is definitely different than our other songs and shows a different side of us. Maybe that’s why I like it, because it sort of combats the fear of being pigeon holed as it is a huge change of pace on the record. What are some of the band’s favorite artists? What music has been inspiring you lately? Personally (for jerms), Greg MacPherson, Propagandhi, & Good Riddance are some of my all time favorites. (Matt) National, Bombay Bicycle Club, Antlers, Royal Canoe, Half Moon Run, Local Natives, Bon Iver, Radiohead all get decent air time in the van and have records that have influenced our style for sure. You were finalists in Canadian Broadcasting Corporation’s 2103 national competition for Canada’s Best New Artist. How did that feel? Talk about that experience. (jerms) It was a pretty wild ride. The contest started right as our first record, Timbers, was coming out, so we sort of just threw a song in the mix to get a few extra people listening to it. We never really imagined it would take off like it did. People got behind us in a huge way and we are still super appreciative of the support. We had people sending us tweets and emails etc saying they heard our song on “CBC in Quebec” or “CBC in the maritimes”, and without CBC and this competition and people’s support, that never would have happened. Are there any artists that you would love to work with? And why those in particular? (Matt) A dream of ours that almost sounds silly to say out loud as it is so unlikely is to get Aaron Dessner (The National) to produce one of our records some day. And while we’re in dreaming mode, we may as well add that we’d like to record it at Justin Vernon’s studio in Wisconsin. I think it is called “April Base”. As to why we would want to work with these people?… Are you kidding me? Wouldn’t you want to? I guess at the root of it is that we have a deep respect for their works and respect their ears and compositions greatly. (jerms) Wow. that is a tough one. Most recently we have been lucky enough to play some shows in Europe, which was wild. Every night we sort of said to each other “boys, we are playing in Berlin tonight, this is crazy”. I for one never thought that was something that would happen when we started the band. Another favorite memory was earlier this month when we got to tour with Royal Canoe for a bit. We had a blast playing with those guys and watching them play every night did not get old. As for quirky….when we were making our record out in Montreal in May, we slept on the floor of the studio every night to save some money. We literally slept beside a Neve console every night which was pretty bizarre. (Matt) One of our shows Jerms had a bra thrown at him. It was the greatest night of his life. In the studio we had a pretty serious dance-off. The winner was undecided as it got out of hand. In the van we listened to the entire Chronicles of Narnia (The BBC version) and got really into it. We cliff jump every chance we get. A favorite memory was when we took some time before a show on Vancouver Island to adventure and find some cliffs to jump off of into the river valley. We ended up getting trapped in this river for a couple hours and had to swim down stream for a good while before finding a good route to climb back up the cliffs. During all of this Matt’s elbow was broken so it made for a pretty interesting adventure. In hindsight, it could have gone so much worse haha. We play baseball a lot and always keep a set of gloves and a bat in the van. Some of us are better baseball players than others…but we all love it. Do you guys have any pre-performance rituals? (jerms) depending where we are and what time of year it is, we tend to have the ball game, or the hockey game on the radio or tv if we are lucky. staying loose, trying not to get stressed out. We have also started talking through the set and doing some vocal warm ups so we are all on the same page. get in the mindset of performing. sometimes it is hard to switch to that mindset and this sort of helps us get ready to play. Before starting every set we have a brief moment of eye contact and kind of collect our selves before the first notes are played typically. I wouldn’t call it a huddle, but more like a… “okay here goes nothing boys”. You’ve been touring heavily throughout your home of Canada. Any plans to come to the states anytime soon? Yes! and we can’t wait! early November, we head east through the states to New York, and then later in November we start in LA and head up the west coast. So we are getting pretty excited to play in some of these iconic American cities. Where’s been your favorite place to perform and why? Any venues you are excited to perform at in the future? We have been pretty lucky and have been able to play some unreal shows. Home-town shows are always amazing, of course (Amigos & The Capitol). Calgary & Edmonton have also always been really good to us, places like Wunderbar, The Artery, Palomino. If there is a general message to your music, what would it be? What do you hope listeners feel when they hear your songs? (Matt) Hopefully our lyrics are just vague enough to avoid being exclusive to our own emotions or meanings while writing them, but at the same time are universal enough that most anyone can relate to them. For us, they have great meaning but we wanted to make sure it wasn’t a coherent concept album or too sappy and personal. As far as our message goes… although the lyrics don’t speak to this at all, I think it is one of our goals to maybe push the more “mainstream” listeners out of their comfort zone and invite them to journey with us a little bit. Not that we are experimental or anything, but we definitely try to avoid doing what is predictable or expected of us or what we know will sell lots of records. We try to respect trends but to a degree reject them as we fear they won’t sustain us artistically. I guess our hope is that people (even the mainstream pop listeners) would respect us for it but also join us. I think it would be fair to say that we hope listeners feel that their is some depth to our compositions and lyrics. Our greatest hope is that if someone listened to the record 5 times from cover to cover, they would hear and appreciate new things each time. An Interview With The South African Pop Artist, BINX!